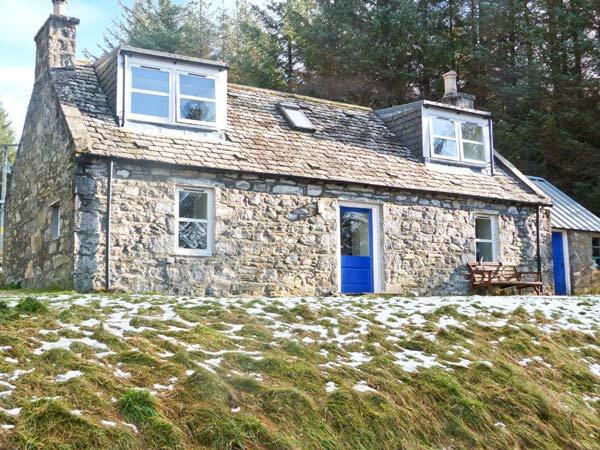 Myrtle Cottage is a traditional stone cottage in the Cairngorms National Park offering seclusion in a scenic location. You will have the chance to truly relax and this holiday cottage is ideal if you enjoy being outdoors and wildlife watching. Red squirrels visit the feeders in the garden. 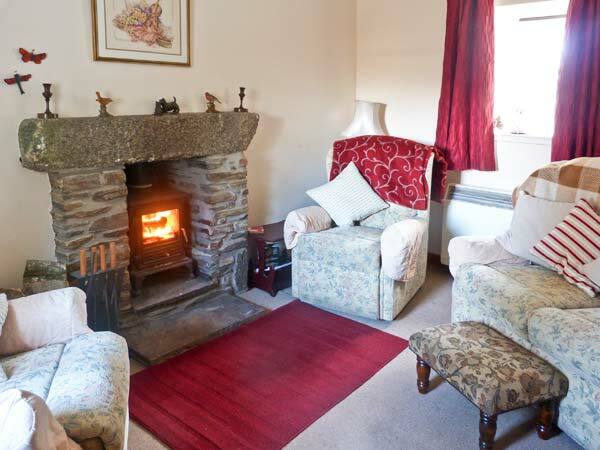 On the ground floor there is a typical cottage sitting room and you can sit and relax by the woodburner. The kitchen is well-equipped so after a day out exploring the hills you can come back and enjoy a home-cooked meal in the dining area. The bathroom is also on the ground floor and has a bath with a shower over, basin and WC. The two double bedrooms are on the upper floor and you can enjoy views of the mountains from the large bedroom windows. Picture yourself sat outside this cottage, listening to the sounds of the river below and the birds. Keep an eye out for the local wildlife which includes the red squirrel and roe deer. If fishing is your passion, you can obtain fishing permits locally for the River Avon which is only 5 minutes walk from the cottage. 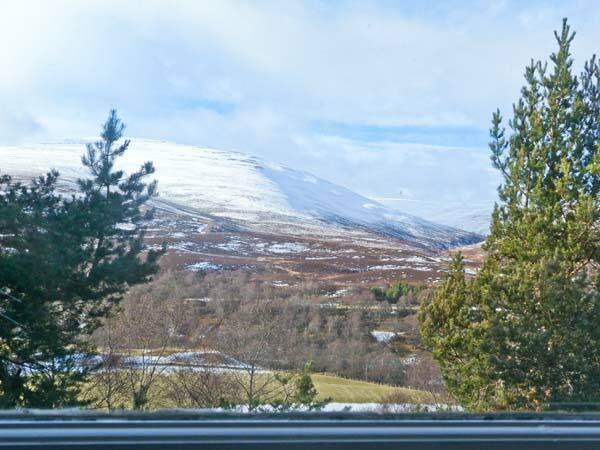 The Cairngorms National Park is a great place for a holiday in the Scottish Highlands with so much to do and Myrtle Cottage makes a great base whilst you explore this stunning area. Scroll down for our local tips on what to see in Aviemore and the Cairngorms. Fully booked or not what you’re looking for? Andi, a herder at the Cairngorm Reindeer Centre, shares her top tips for what to see and things to do in Aviemore and the Cairngorms National Park plus some gorgeous reindeer photos. Can you see the Northern Lights in Scotland? Do you need a passport to go to Scotland? Please note map location and directions are provided as a general guide and may not be completely accurate. Please see business’ own website for exact location and directions. Listing information correct at time of publication. We partner with specially-selected businesses to offer you some great deals for your holiday in the Scottish Highlands and Islands including offers on holiday cottages, hotels, camping and caravanning gear, outdoor clothing and equipment.